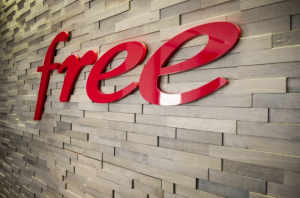 Altice France and telecom operator Free continue to be engaged in a stand-off over the retransmission of Altice’s free-to-air TV services on the Freebox platform. Altice has been seeking retransmission fees for the distribution of its channels on the model of commercial broadcasters TF1 and M6. Altice France CEO Alain Weill, as reported by Le Figaro, said that he would not accede to Free’s demands and said that Free’s refusal to pay for the channels was discriminatory, as it paid for TF1 and M6’s services. Free is continuing to transmit the channels, despite demands by Altice that it stop doing so. Free has declined to pay for channels it said were available on a free-to-air basis. Altice’s current contract for the distribution of its channels with Orange is meanwhile set to expire at the end of July, potentially setting the scene for another conflict. Altice France said two weeks ago that it was pulling its TV channels from Free’s TV platform after the pair failed to strike acceptable carriage terms, despite the intercession of media regulator the CSA as arbitrator.